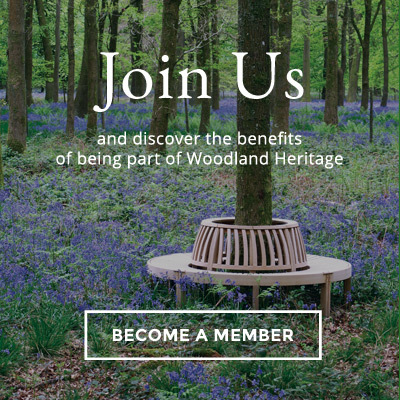 “The Prince of Wales has shown great interest in and support for the work of Woodland Heritage for well over a dozen years now, which has helped a small charity like ours to carry much greater weight publicly then our size might normally have allowed”, said Woodland Heritage Co-Founder, Lewis Scott. “One marvellous example was in His Royal Highness’s birthday message to the countryside in ‘Country Life’ last year when in explaining ‘Why we must save our trees’, The Prince made reference to Peter Goodwin, the late-Chairman of Woodland Heritage”. Woodland Heritage is a founding member of the Action Oak initiative and at an official engagement in July at the Norbury Park Estate in Staffordshire the charity was able to update The Prince of Wales on how its work with Forest Research and several English and Welsh universities was progressing. But the charity has also updated HRH on issues such as tree health and skills within the forestry sector, with the development of a suitably qualified workforce for the future being close to His Royal Highness’s heart too.